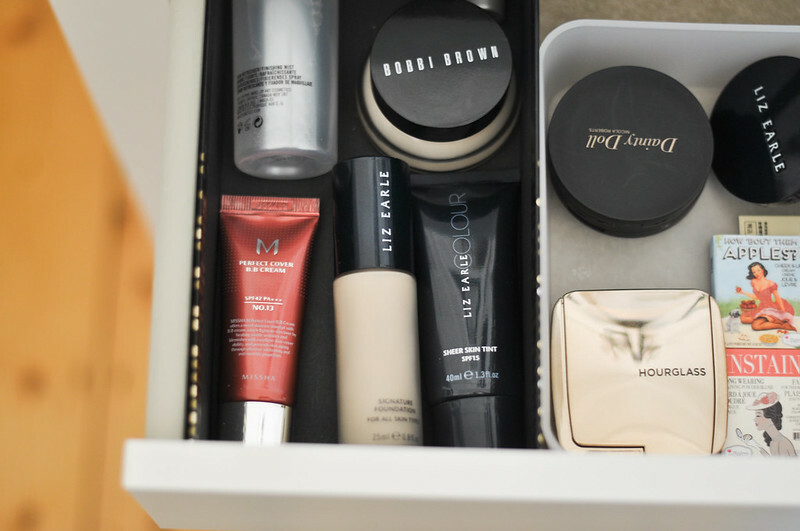 For some reason the compartment that holds all my base products has also turned into a I'll just put all these products here as I don't really know where else to keep them place. Instead of the usual foundations, concealers and powders you'd expect to find here I also had face wipes, sun tan lotion, moisturiser samples and receipts which are tucked out of shot. I have now moved them all to their correct homes and am able to see everything I own. 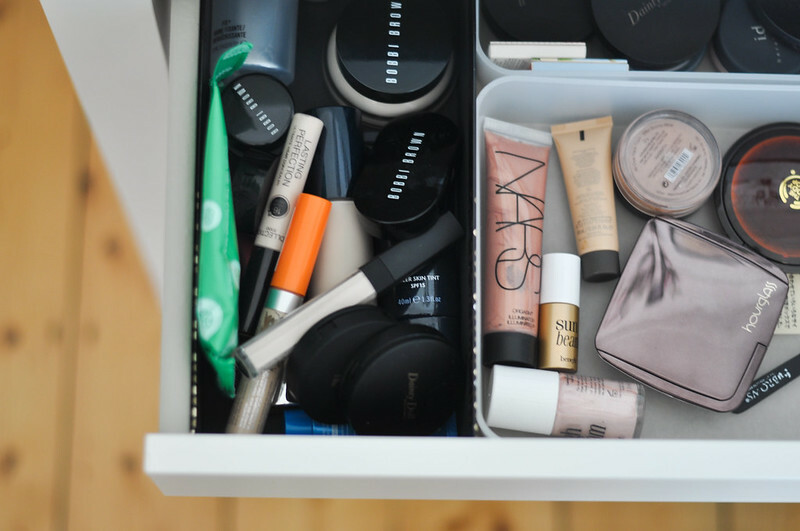 I also moved all my concealers to a different compartment so it looked less cluttered. If I can't see a product then I'm less likely to use it.